It is so refreshing to meet a potential client who is coming to coaching for the all the right reasons. To understand why this is such a rewarding experience for me as a coach you need the title statement and introductory sentence put into context to understand the type of person who typically comes to coaching and the reasons for them seeking out coaching or having someone else send them to a coach. Business or executive coaching is a relatively new management intervention, one that is still evolving. Like any new, powerful and influential area of business thinking, coaching is being interpreted and used in a myriad of different ways by different users. In time we expect the most effective use of coaching will become obvious to all users. In the meantime coaching clients bring their preconceptions, misconceptions and expectations coloured by past experience, prejudice and culture. And coaching can certainly unlock significant improvements in this type of individual or team. Generally however significant progress only comes with additional training, mentoring and/or activities designed to support behavioural change. If, as is usually the case, a positive outcome is expected solely from the coaching offered, the results often prove to be not as dramatic as might be hoped. This is in part due to the way in which coaching is employed, part due to the expectations built by the keen coach but also in part the level of engagement of both the coachee and the sponsor with the coaching process. The incredible potential possibilities of coaching will only be realised when the purpose and process of coaching is better understood by those who seek or commission coaching. The biggest impact on an organisation’s future success is to have the most influential individuals perform at a significantly inceased rate. These individuals will be senior, will already be exceeding targets, be recognised by others in the organisation as star performers. Their ability to influence and motivate others, to be aware of and share what works is a key indicator and predictor of broad future organisational success. They are in fact more likely to be the CEO or a senior leader than someone requiring remedial support. 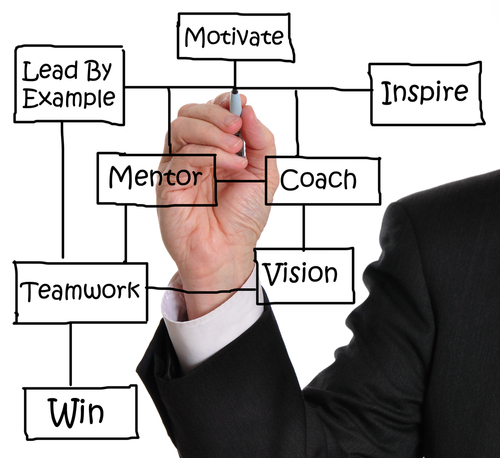 It is these high flying successful people who will benefit most from coaching support. The level of return on investment in coaching is likely to be significantly greater. Their developing a coaching mindset will propel learning and development within the organisation. If you find yourself thinking these sort of thoughts… have you ever considered coaching. To get ahead you don’t need to be struggling. This entry was posted in Business, Leadership and tagged business coaching, coaching, leadership coaching, performance coaching. Bookmark the permalink.